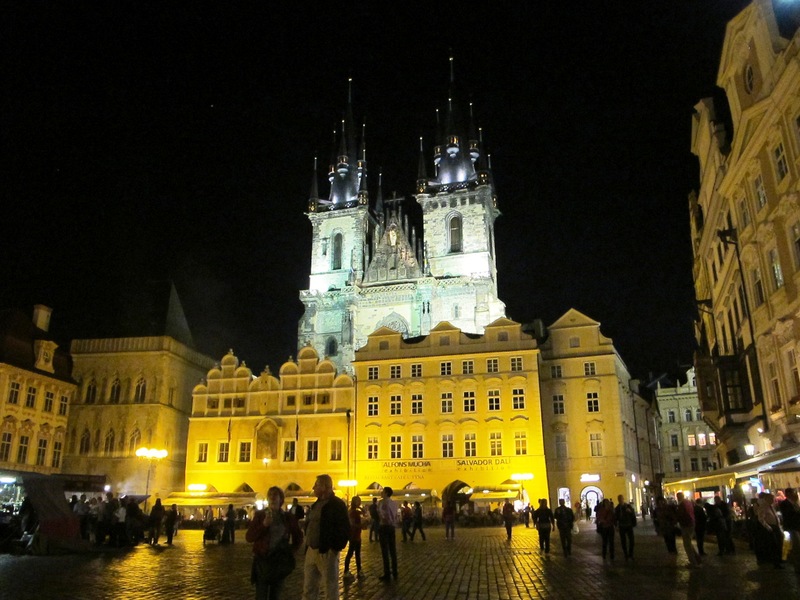 Main Square, Prague. 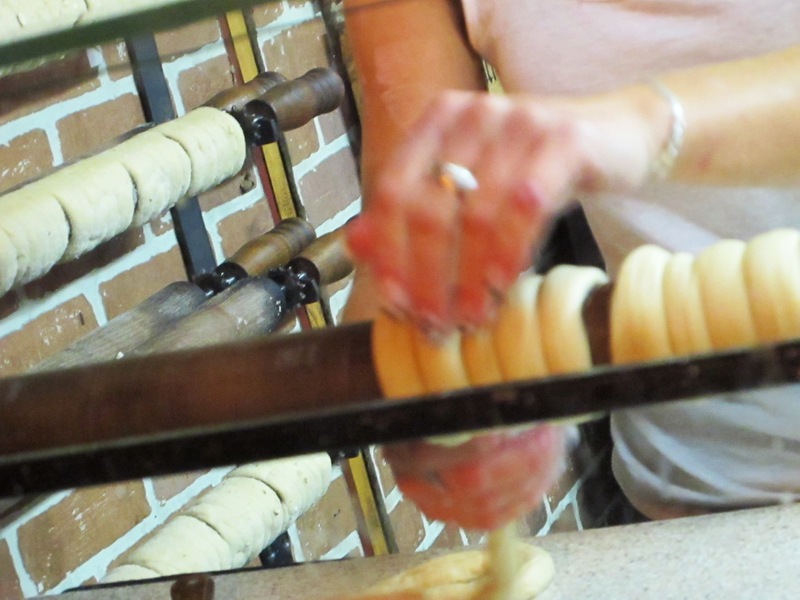 The Trdelnik is sold at the far left of this picture. 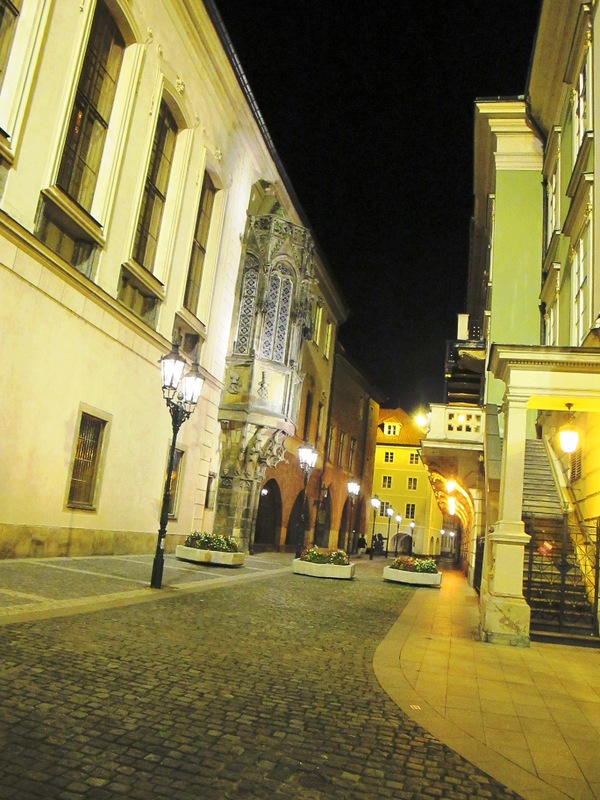 If you’ve been to Prague, you’ve probably seen Trdelnik rotating over an open fire in the main square near the famous clock tower. Tredelnik is not Czech, however, but Slovak in origin. The earliest recipe for the sweet pastry was found dating back to 1783 in the western Slovak city of Skalica by Hungarian count, poet and chef, Jozefa Gvadániho. 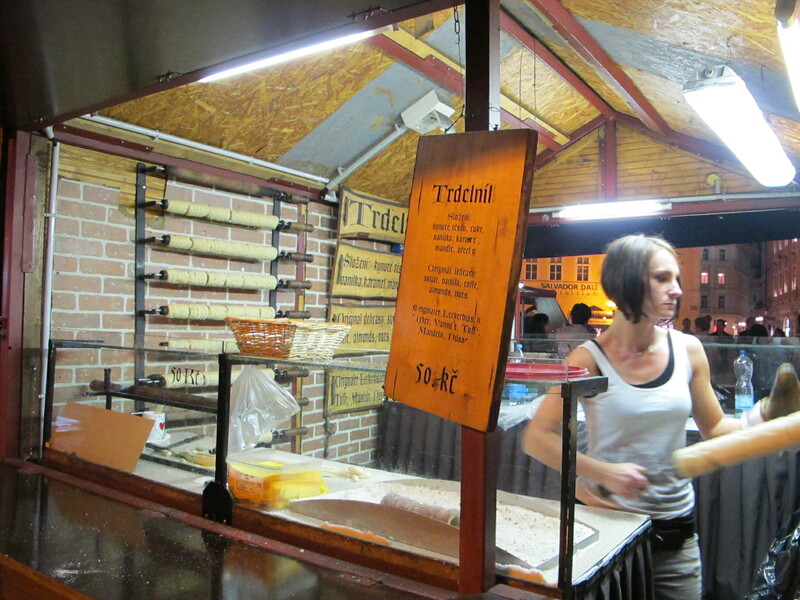 By the late 19th century its production had been commercialized and Tredelnik began to appear for sale at fairs and festivals across the Austro Hungarian Empire. 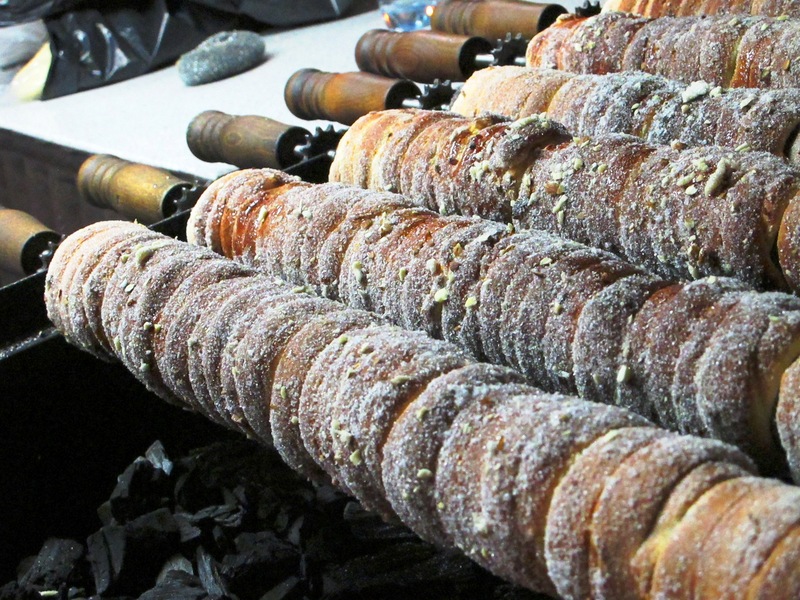 Trdelnik is a flaky dessert rolled in nuts and roasted over an open fire. It’s crunchy on the outside and soft in the inside, with a distinct smoky flavor. You could make it yourself on the BBQ if you have a rotisserie attachment for chicken. I remember seeing them making this while we we’re in Prague, but we never tried it. Did you enjoy this treat on your last trip. Do I have to go back and try it? Thank you Olga! I checked out your blog – love the recipe for the wafer cake. I will try that next week. It reminds me of one Pauline used to make. I recently visited Cracow – it was so wonderful to see all the students and families in the main square. What a beautiful city. Cracow? My family and I never made it there, but we made over 5 trips to Boleslweivic and bought loads of polish pottery! Oh how i’d love to have some pierogie right now!